Comptoir Libanais serves up healthy and honest Lebanese and Middle Eastern cuisine in a friendly and colourful canteen. With recognisable wall graphics and packaging by Beirut designer Rana Salam, and inspired by a vintage movie poster of Arabic actress, Sirine Jamal al Dine, Comptoir Libanais will welcome you to enjoy an all-day dining experience. 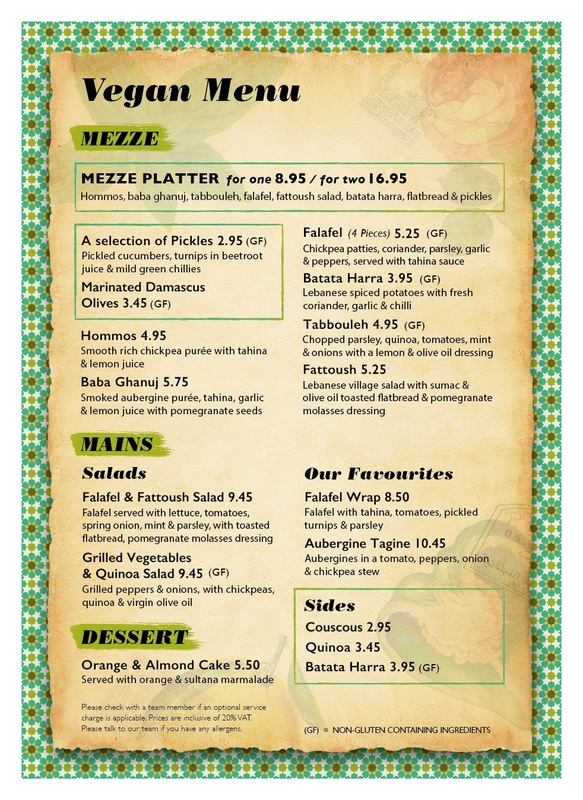 From fresh salads and hearty tagines to mezze and marinated grills, all enjoyed with a homemade lemonade or a glass of Lebanese wine. Head to this Middle Eastern canteen whatever time of day you fancy: breakfast, lunch or dinner, Lebanese style. You can also explore the Souk Shop full of spices and authentic treasures, including handwoven Moroccan bags, cookbooks, herb tins and teapots.